VA - Bombay Disco- Disco Hits from Hindi Films 1979-1985 (2014) | Free eBooks Download - EBOOKEE! Posted on 2014-06-12, by interestinglike. The sound of Disco rose out of Philadelphia in the '70's before being nurtured in New York and later rising to the top of the pops. By 1979 it made its way to India, where it was blended with sitars, tablas and huge orchestras in a wildly inventive, and often boldly surreal, fusion of Purab aur Pachhim (East and West). When a film producer told Bollywood composer Bappi Lahiri, "I want to have music like 'Saturday Night Fever'", Bombay Disco was born. Soon nearly every South Asian film, it seemed, had a disco track blaring from cinema screens. Although disco's popularity waned in the west, it soared in the east throughout the '80's. Disco songs appeared in every type of film, from family dramas and historical epics to curry westerns and horror movies. Cultures Of Soul Records presents Bombay Disco, 13 selections excavated from the dusty bazaars of India by DJ Brother Cleve. The hunt even brought him to Bappi Lahiri's home, where India's "Disco King" regaled him with music and stories. Bombay Disco showcases the unique musical hybrid that is Bollywood filmi music. Don your leisure suit, puff a chillum, and get on the dancefloor. Shabash! 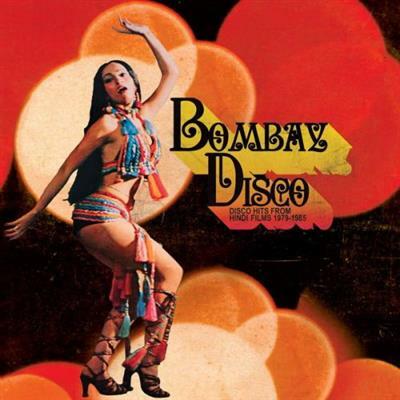 No comments for "VA - Bombay Disco- Disco Hits from Hindi Films 1979-1985 (2014)".